My new favorite sauce/dressing. I put that sh*t on everything! You may know this dressing as Ina Garten's specialty the 'Green Goddess Dressing'. Well I decided to make it a bit healthier and full of flavor to give your next protein entree or salad that extra kick of flavor! 1. 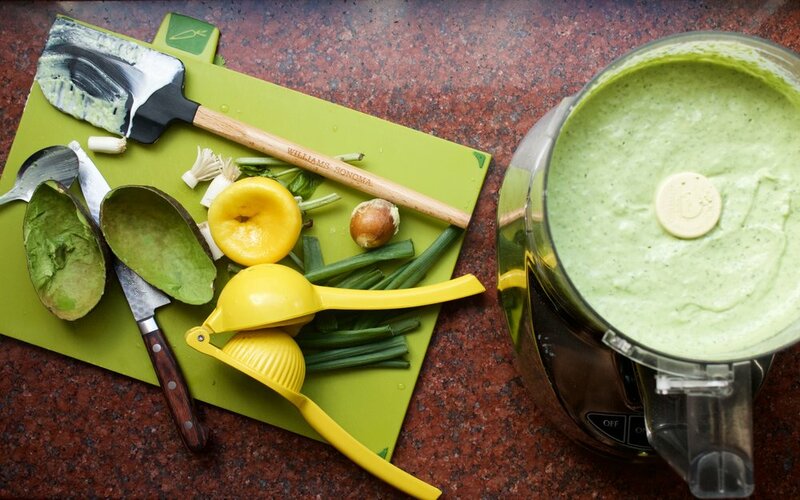 Add all the ingredients to a food processor. 2. Pulse on high for 2-3 minutes until well combined. 4. Serve immediately or store in the fridge for up to 9 days. 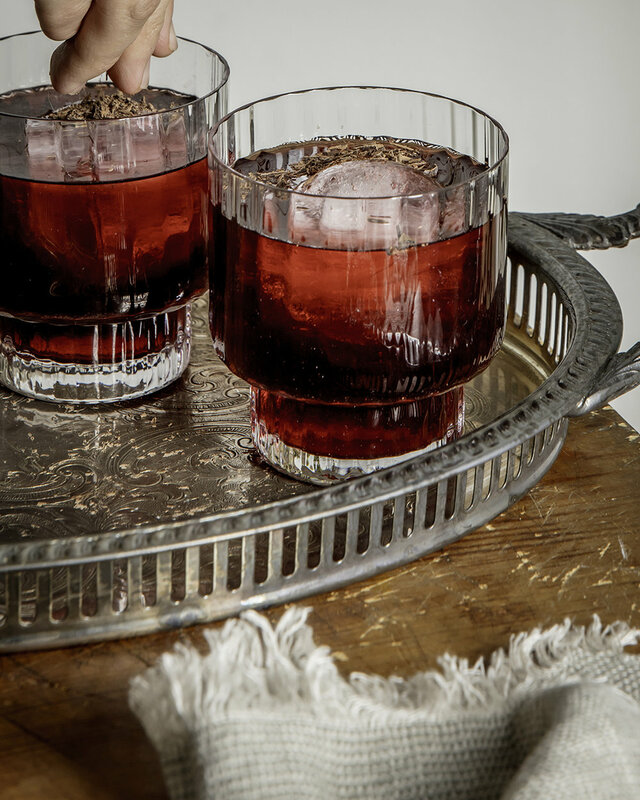 A dark powerful drink to start your night off right! 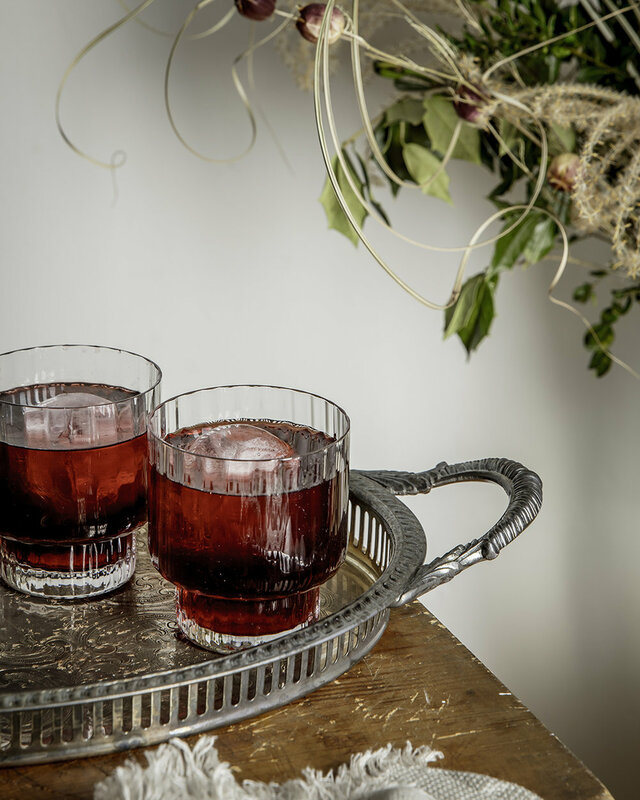 A Negroni is an aperitif that is normally served straight up in a rocks glass. I added some chocolate bitters, and shaved chocolate to garnish the drink and make it sweeter for your loved one this Valentine's Day! Doesn't matter if your going out or staying in this is the exact drink you need to start your night off correctly! 1. 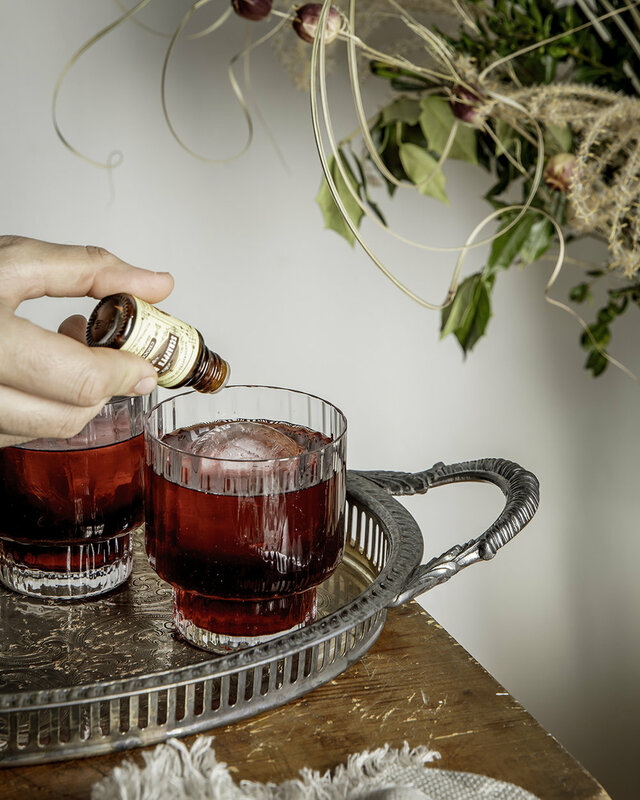 In a large shaker start by adding the ice, then combining the gin, campari, vermouth, and chocolate bitters. 2. Stir until well combined, and chilled. 3. Strain into a rocks glass over a large ice cube. A traditional Lebanese vegetarian meal taken to the next level!! With extra spices, crunch, and texture this is the perfect side or main dish. 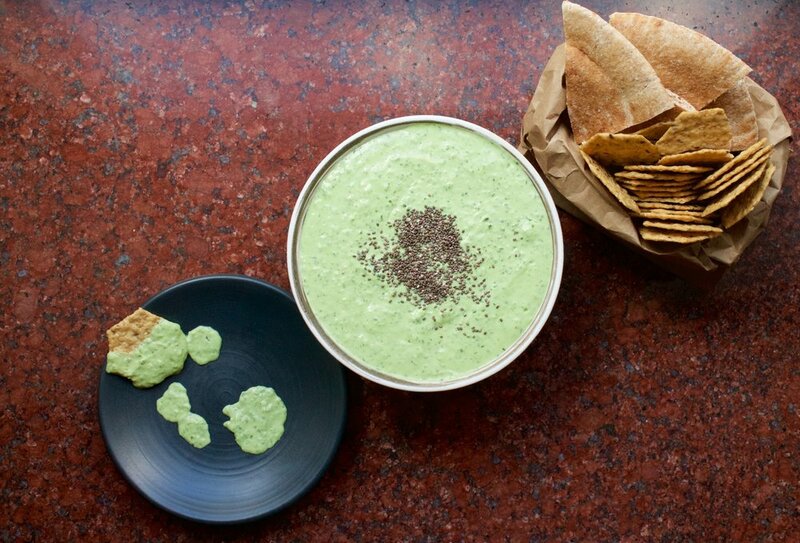 Marrying za’atar and tahini to bring you the finest Middle Eastern flavors. 1. Preheat your oven to 350F. 2. In a small bowl toss the pita bread with salt and olive oil. 3. 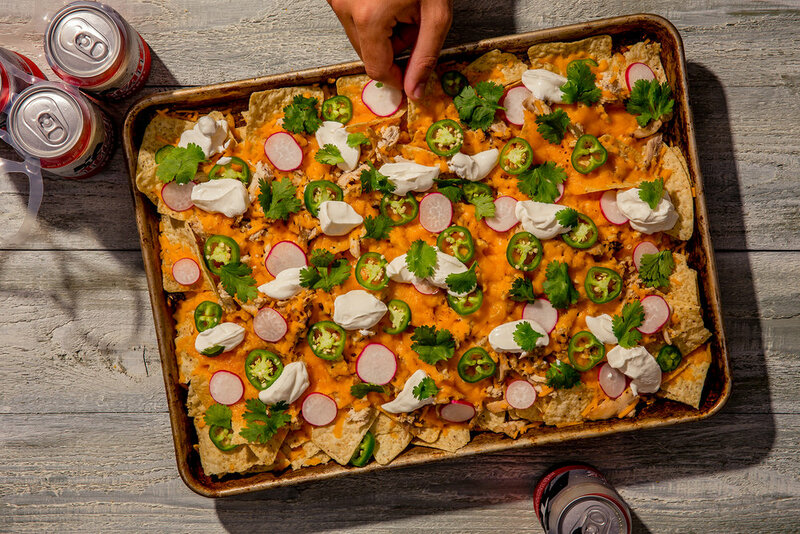 Place the seasoned pita chips, on a parchment lined sheet tray, and bake for 5-6 minutes or until golden brown and crunchy. 1. Heat your grill pan, on high. 2. In a large bowl toss the zucchini with salt and olive oil. 3. When your pan is smoking hot, grill the zucchini for 2 minutes on each side, and let rest. 1. To make the tahini sauce (tarator) start by whisking the lemon juice into the tahini. At this point the tahini will become thick and lumpy. This is the consistency you want. 2. Start adding the water little by little – until fully incorporated. The tahini sauce should become silky smooth. 3. In a separate bowl mix 1 cup of tahini sauce and 1 cup of Greek yogurt with salt to flavor. 1. 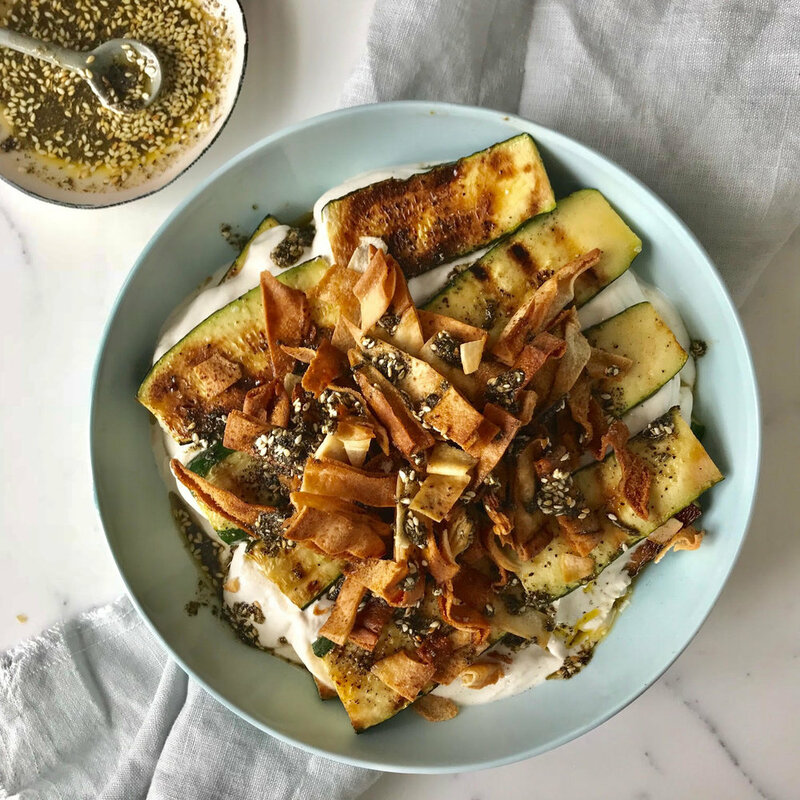 In your serving platter, start off by lining the zucchini into a layer, then topping it with the tahini yogurt sauce, another layer of zucchini, another layer of sauce, and finishing off with the final layer of zucchini. 2. Top off with crunchy pita chips. 3. In a small bowl mix the za’atar with 2 tbsp of extra virgin olive oil and drizzle all around the plate. 4. There you have it a delicious fetteh! P.S. you can make this with any of your favorite vegetables. If you're trying to make a good first impression this is the way to go! A date, family dinner, meeting the parents, whatever it may be this is honestly the perfect, most delicious meal! It's refreshing, healthy, and full of flavor. You can make any sides with it - but these are my favorites and most accommodating. 1. In a large bowl, mix the chicken thigh cubes with garlic, oregano, 7 pepper seasoning, and salt. 2. Then add the olive oil, and lemon juice, mix well. Let the chicken marinate for 2-24 hours in the fridge. 3. Preheat the oven, or grill at 450F. 4. When ready skewer the chicken, about 6-7 pieces per skewer. 5. In a medium size pot, heat the vegetable oil on high. Add the vermicelli egg noodles, and sautée until golden brown. 6. Add the rice, give it a quick stir, then add the stock and salt. When it comes to a simmer, reduce to medium-low heat, and cover. The rice should be ready in 20-25 minutes. 7. Start grilling, or roasting the chicken. Grill: About 3 minutes on each side. 8. In a small bowl, start peeling the cucumber like you normally would, making long ribbon like strings. 9. Mix in the mint, lemon juice, and salt. Voila you got a salad. 10. When ready serve the chicken skewers, on a bed of rice, with a side of cucumber salad, and never forget the greek yogurt! An American classic! Of course we had nachos in Lebanon but believe me it was nothing like an all American loaded nachos! 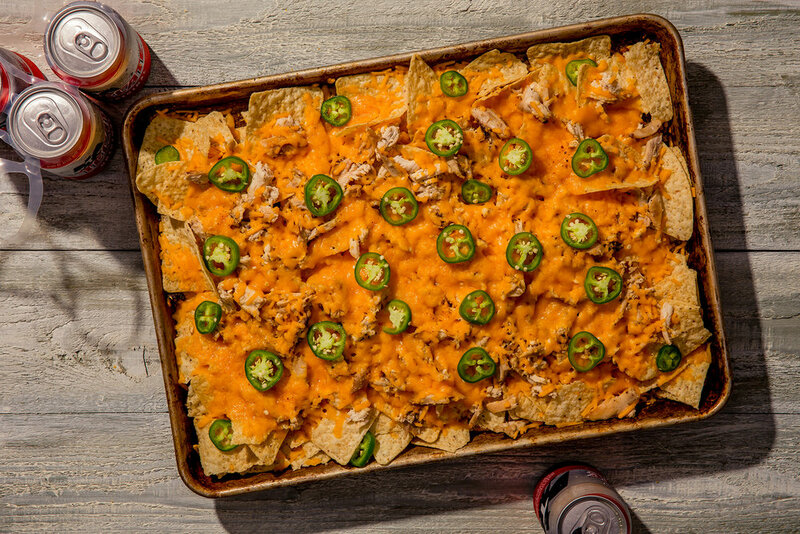 I mean the amount of cheese, and toppings that can be added are endless. This recipe is an easy, go to, leftover type of thing. 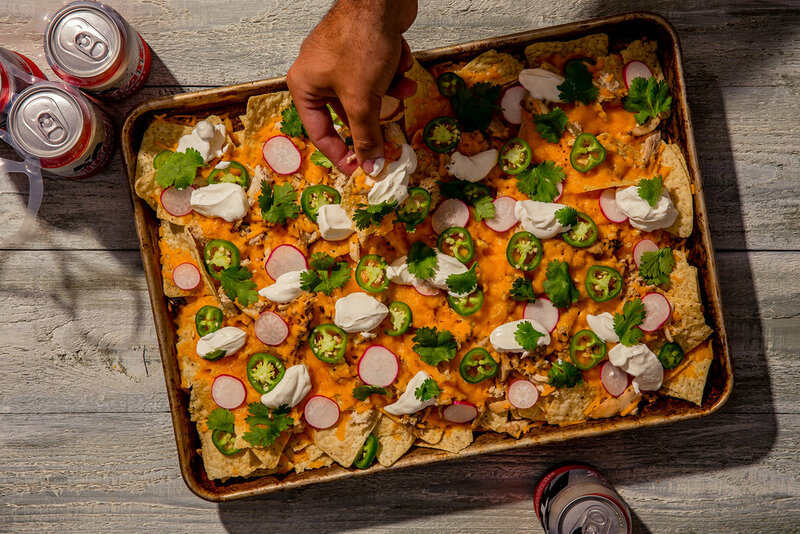 Start off with chips, any meat or veggie, cheese - pop it in the oven - then layer all the fresh ingridients on top and voila you got yourself a great crowd pleaser! Crack a can of beer open, or shake up a margarita cause this sheet tray is coming your way! 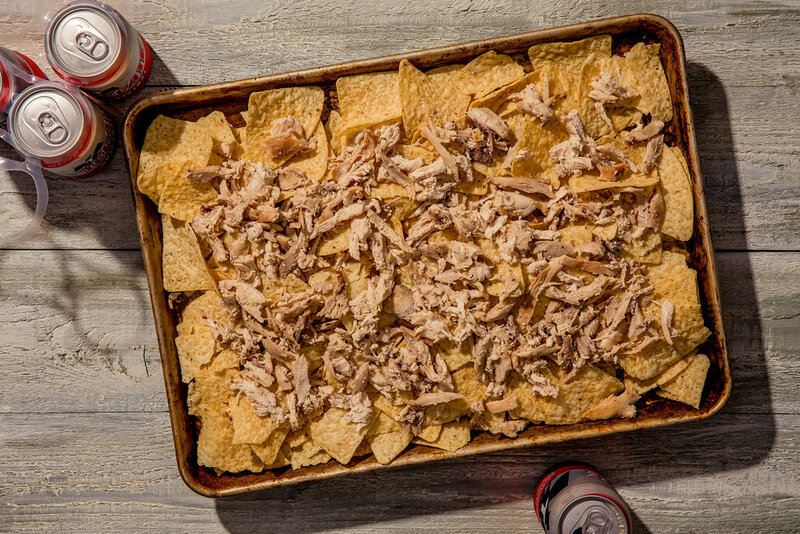 On a large sheet tray, start off with a layer of chips. Scatter the chicken all over the chips. Sprinkle with cheese, if you want to be extra - tuck some cheese under some chips. Place the sheet tray in the oven, cook for 10-12 minutes or until the cheese is fully melted. Layer the rest of the fresh ingridients on top! PS. anything goes here - ground meat, sauteed vegetables, avocados, corn, beans, tomatoes - so have fun with!